It was established that modifying additives CeO2, SiO2, and H3PO4 change the catalytic properties of compositions based on ZrO2 in the conversion of ethanol into 1-butanol due to a change in the phase composition of ZrO2, which determines its acid–base properties. As a result of stabilization of the tetragonal ZrO2 phase with additions of CeO2 and H3PO4 an increase in basicity occurs, leading to an increase in the selectivity and productivity of the catalysts in 1-butanol. Translated from Teoreticheskaya i Éksperimental’naya Khimiya, Vol. 55, No. 1, pp. 40-46, January-February, 2019. 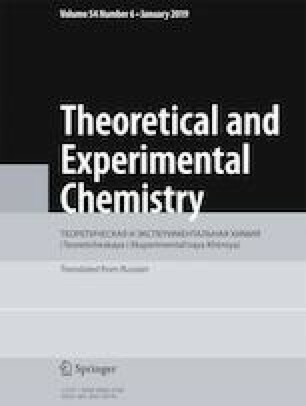 The authors thank V. L. Struzhko for synthesis of the zirconium dioxide and the samples based on it.